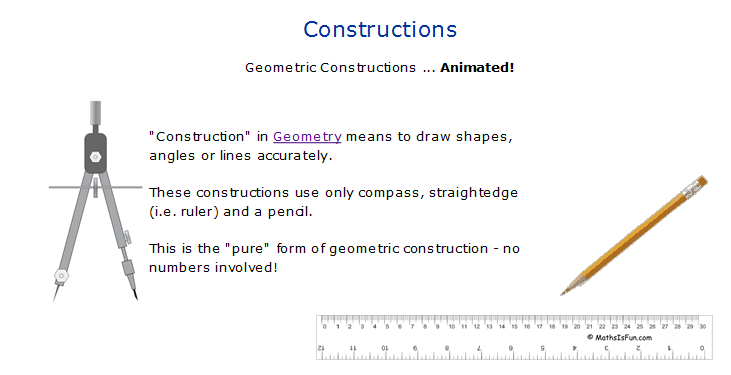 The mathsisfun.com site has very nice animations showing various constructions used in geometry. They only last a few seconds each but explain them nicely. Click the link at the bottom of the page to get to them. There are many triangle centres, but those you need to know about are summerised in the table below. The first letter of each word in the phrase accompanying the image will help you to remember which construction is used to find which centre.